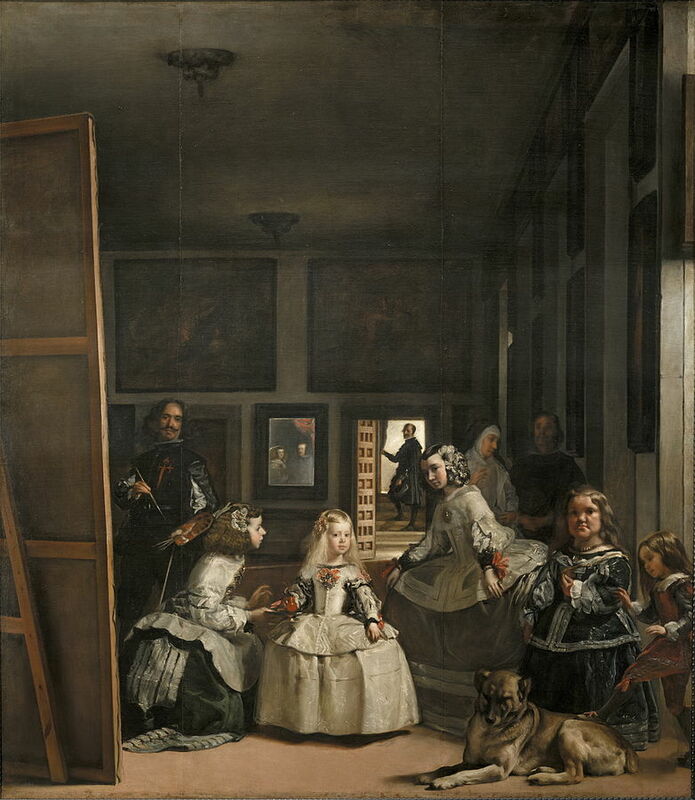 Zooming on the brushstrokes of Diego Velazquez’s Las Meninas (c. 1656), one gets catapulted into Barcelona circa now—the time and place in which Alfonso Alzamora deconstructs the Baroque masterpiece into abstracted stacks of geometrical shapes. Structurally, his ongoing series captures the contours of the Infanta Margaret Theresa, who watches her parents the King and Queen of Spain while Velazquez himself, included in the artwork, paints their portrait. Replete with enigmas yet to be decrypted when it comes to viewpoint, context, and significance, Velazquez’s painting within a painting serves as fuel for Alzamora’s practice, which consists of questioning rationality by juxtaposing opposites. 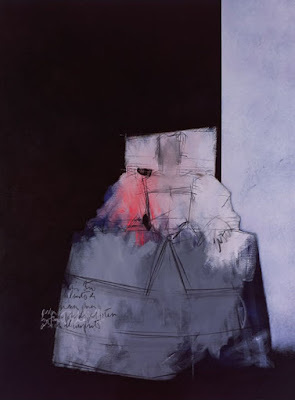 The artist’s penchant for conceptual ambiguity is visually manifested by the nonchalant charcoal contours of his minimalist yet symmetrical subjects, the sudden colour blasts interrupting otherwise ashen backgrounds, and the conspicuity of undecipherable scripts serving as mysterious footnotes. 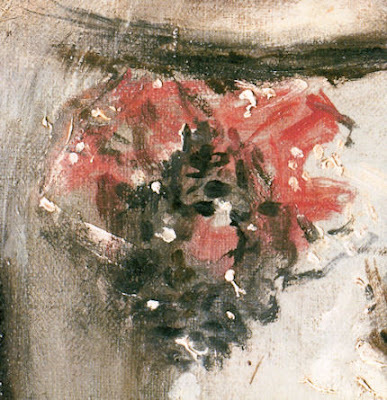 What ensues is a reconsideration of space and time, while the notion of infinity emerging from the Baroque past is stitched together with the contemporaneity of Alzamora’s poetic structures. Further hesitations arise as the regal shapes of Meninas oscillate between overwhelming presence and coy submission to an engulfing backdrop. The wavering perspective raises doubts about precedence and purpose, and confers to both void and matter a shared, albeit hierarchically flustered presence.